We offer web development services, beyond web site and page design. Our web development services are designed to automate your paper-based process by converting paper-based documents to online forms. 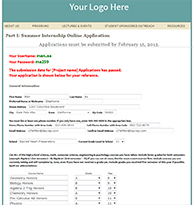 Automate an application submission process. 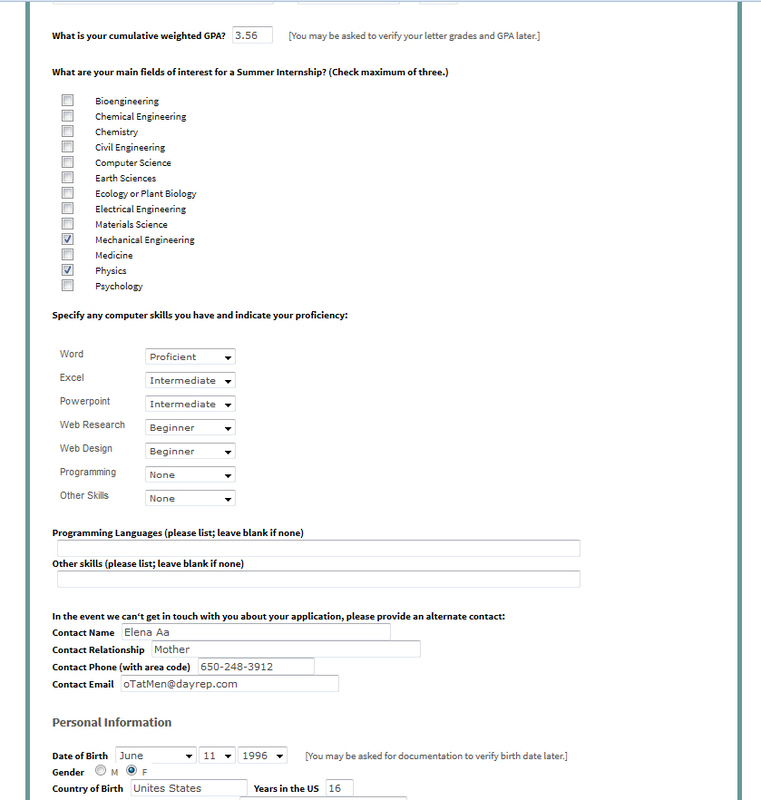 For this sample application process, not only are the multipart application forms created and managed online, but a full and complex administrative management panel allows the administrator to track the progress of applicants, convert relevant portions of their applications to pdf format for emailing to the hiring manager, downloading selected common data into an Excel spreadsheet, as well as automate ranking of the applicants based on pre-determined criteria. Create and manage a database of users by capturing and storing user entered data for retrieval and analysis. Email creator and sender - allows customization of an email template - uses a database to automatically send a personalized copy of the created email. Online test - features automated grading and options for instructor comments. 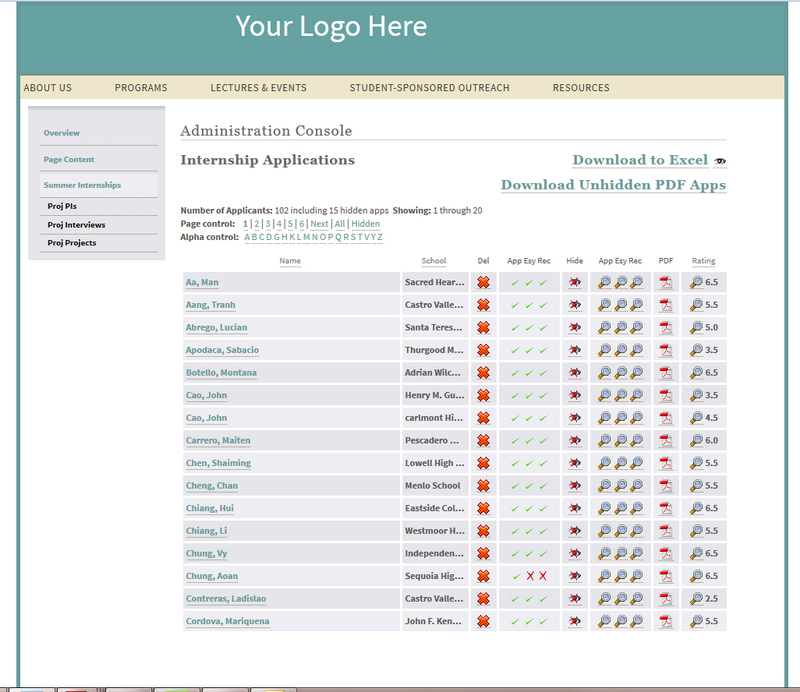 This is an example of an administrative 'panel' that encapsulates all the relevant information about each applicant. 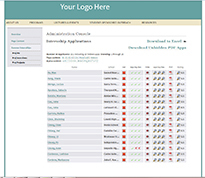 The panel is designed to give the administrator a quick assessment of how much of the application has been completed (the checks and the letter 'x'), and provide easy access via hot links to the application, the reference, the rating, etc. Click on this thumbnail to see a larger image. 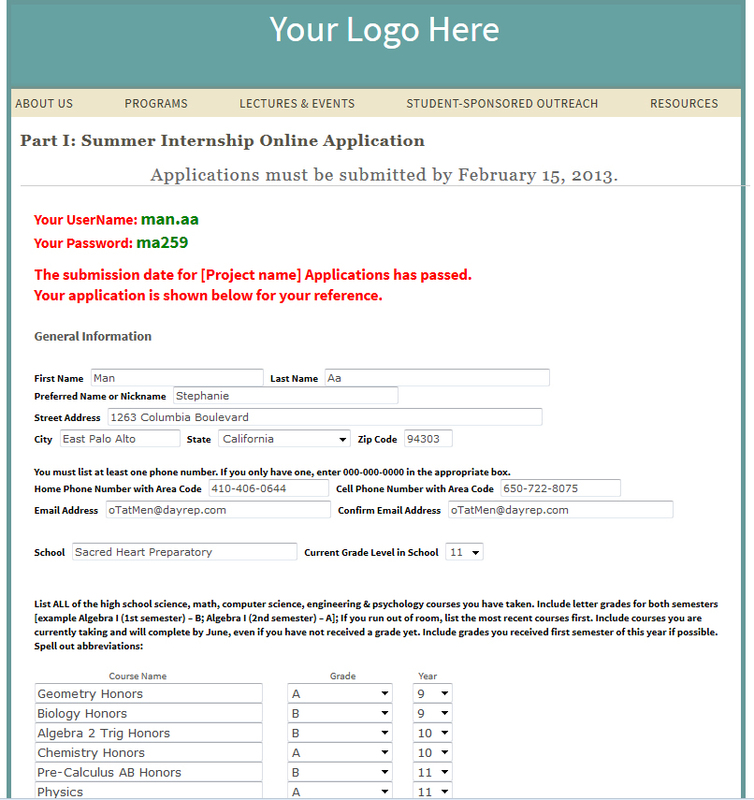 The online application form used the by the applicant to complete required information. This is a portion of an online test. This extract shows multiple choice questions on several pages. 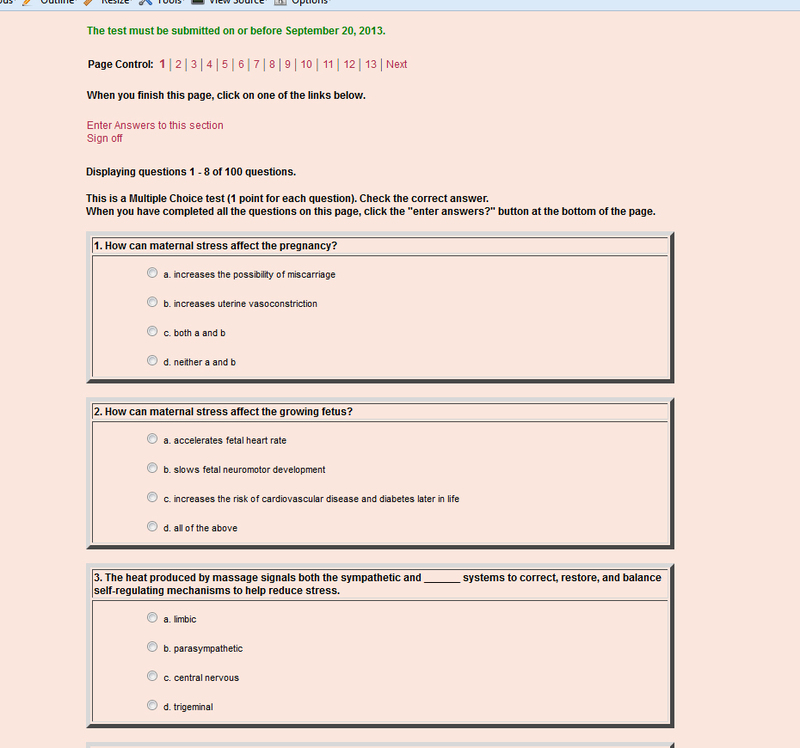 The test taker can move back and forth to view additional questions. This test features a deadline, so the taker may modify or complete the test at any time prior to the deadline. When the user submits the test, any unanswered questions are reported. The taker may submit the test and within seconds receive a grade. 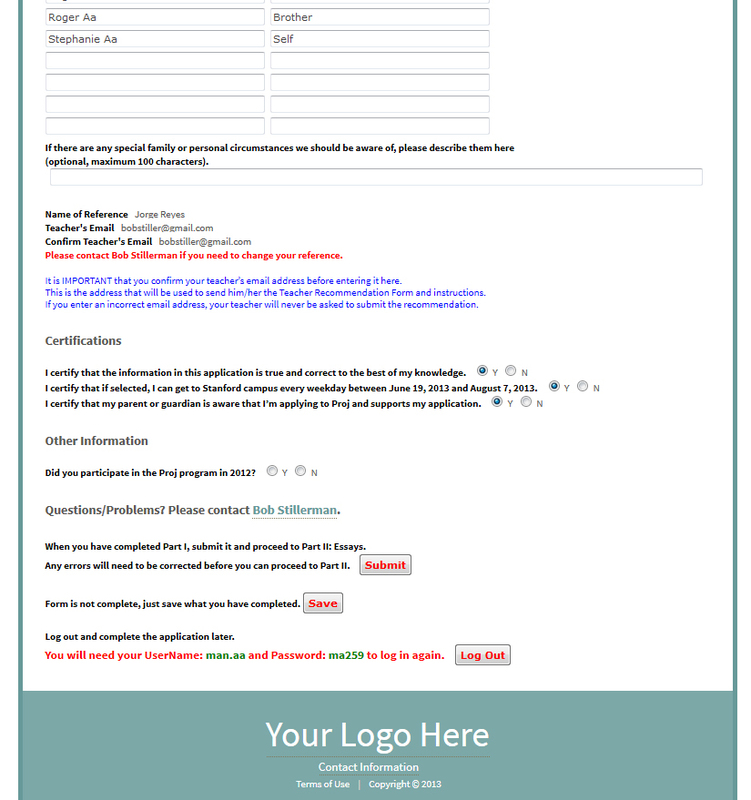 This online test features a registration process and payment of a fee. An administration panel allows the site owner to monitor registrants and the status of the test.